It must be awards season. First there was the nomination for the Critics Choice Award. Now I'm told that GAME OF THRONES has been nominated for the PORTAL AWARDS. This award, I'm pleased to say, did not neglect our actors. My congratulations to Sean Bean, Lean Headey, Peter Dinklage, Maisie Williams, and Isaac Hempstead-Wright. And of course to David Benioff and D.B. Weiss. GoT should win Golden Globes! I have a new background image. It isn't even close to awards season, which is the odd thing. Awards season is generally late fall and early winter. I guess there are just so many awards now that it's becoming an around-the-year thing. But that said, congrats to the show on its nominations. And I hope it gets some recognition at the Emmys, SAGs, and Golden Globes. Isn't her name spelled Lena Headey? Easy typo to make, but it would be nice to make sure the names are spelled correctly. 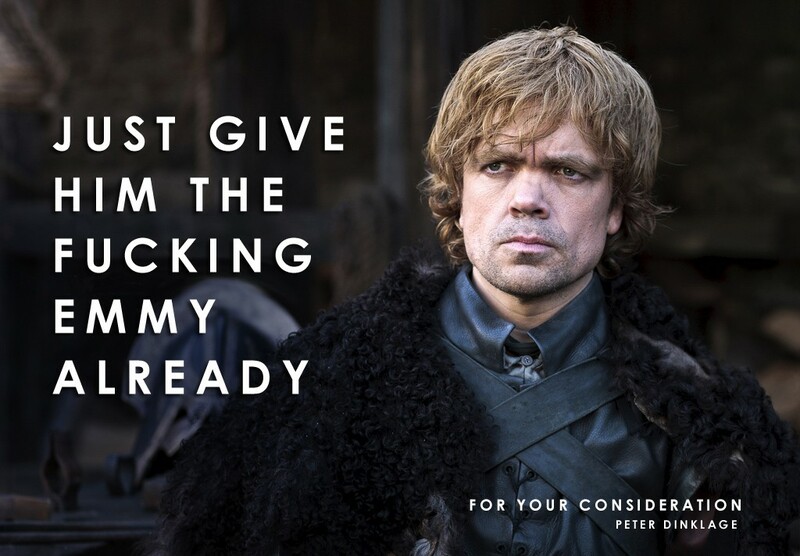 if i were choosing winners, game of thrones would be the only contenders on those lists. Congrats to all... it's a juggernaut! I hope this is just the beginning of many awards for the actors and everyone else involved. I have my fingers crossed for all involved that they get the win! Game of Thrones is up against Fringe. Can I have a tie please? And H.G. Wells up for the Gene Roddenberry Award, can I have an oh yeah? I doubt he'll win against Elizabeth Sladen. The dead girl is gonna win, but then he died first. Congratulations, George. That's wonderful news for the show and for the actors. Never heard of the Portal Awards, but I hope that this results in you and the GOT actors receiving more checks. No offense meant to the other actors who also do a great job but Peter Dinklage as Tyrion is nothing short of phenomenal. Him not walking away with a mountain of awards would be a travesty. Hat's off to him for his outstanding work but also to the production team for assembling the caliber of talent that they did.